ISLAMABAD �Pakistan State Oil (PSO) plans to acquire Chevron Pakistan�s shareholding in Pakistan Refinery Limited (PRL) using its first right, according to reports. Chevron had recently announced that it wished to sell its 12% stake in PRL. Attock Refinery Limited (ARL) had also announced that it will participate in the bidding process. PSO and Shell International Petroleum Company are incumbent shareholders in PRL and have the first right of refusal. �We will use our first right to acquire Chevron�s share in PRL,� a PSO official said. He said that PSO already held 18% shares in PRL and wanted to increase its shareholding to 30%, which will be done through the acquisition of Chevron�s 12% stakes which are now up for grabs. Multiple entities have a shareholding interest in PRL. As mentioned, PSO has an 18% stake, Shell 30%, Chevron 12%, National Bank of Pakistan 8%, the National Investment Trust 6% and individual shareholders 26%. In February 2011, PSO�s Board of Management had deferred a decision to approve acquiring 30% of the shares in PRL held by the Shell International Petroleum Company, which had been up for grabs at the time. The feasibility report on the acquisition deal had not satisfied the board, and hence the decision had been put off. The PRL Board of Directors had already given its provisional approval to PSO�s plans to acquire Shell�s stakes in a meeting held on June 30, 2010, subject to the agreed purpose and terms of reference of the due diligence exercise. 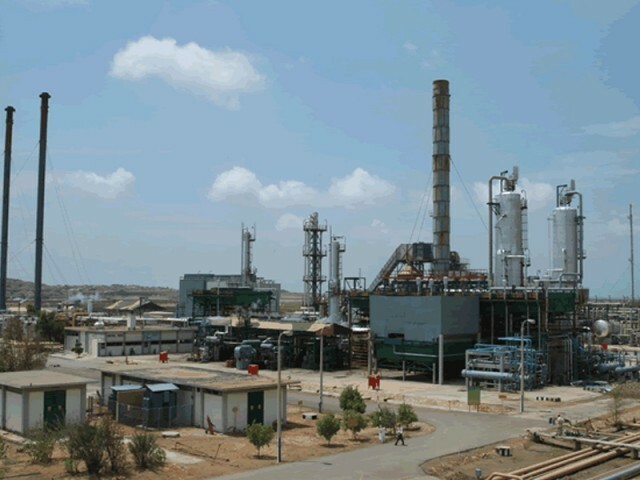 PRL supplies 30-40% of fuel produced to PSO. After acquiring Shell�s shares, PSO had planned to invest in the refinery, enhancing its refining capacity by 50-70% to 100,000 barrels per day from the existing 47,000 barrels per day to ensure a reliable source of refined fuel. However, Shell no longer plans to sell its stake and has shelved any intentions to divest its holding in the company. �We have no intention to sell our holding in PRL,� a Shell�spokesman said, adding that Chevron�s decision to sell its shares in PRL had nothing to do with Shell and was the former�s decision alone. A PSO official said the company was facing liquidity problems in arranging fuel supplies due to the circular debt issue. He said the company had even defaulted on payment liabilities to local and international fuel suppliers due to the scarcity of funds, as the power sector had not been able to make timely payment for fuel supplied to it. �PSO wants to secure supply of fuel by enhancing its shares in PRL,� the official said; adding that the company�s plans for setting up a refinery in Khyber-Pakhtunkhwa are also part of the strategy to make the company self-reliant as far as fuel supplies are concerned.